Can Adderall Abuse and Addiction be Treated? Do I Need Addiction Treatment for Adderall? Adderall is a prescription amphetamine that is indicated for the treatment of ADHD and narcolepsy, as well as treatment-resistant depression. Unfortunately, Adderall also has a high potential for addiction. Increased tolerance to Adderall can lead to use of illicit stimulants such as cocaine or methamphetamine - both stronger and less expensive than Adderall. In terms of wider social implications, family stability can be adversely affected - compounded by professional or legal problems. Increased tolerance to Adderall can lead to the use of "crack cocaine," or to methamphetamine ("crystal meth") - both much stronger, less expensive and potentially easier to obtain than Adderall. Use of illicit stimulants such as crack and meth have led to some of the most serious health problems worldwide, including the spread of HIV-AIDS and violent crime. Public health costs associated with addiction will continue to rise, as there is no end in sight to the reduction in access to amphetamines. Because of its energy-boosting effects, Adderall is often abused by students and professionals to enhance concentration, increase alertness, and help with studying. College students (18-22 years of age) report success in academics due to increased energy and capacity to work at high-energy levels that serve to increase dependence. Workers on gas and oil rigs frequently use amphetamines to maintain wakefulness for work-shifts which can be as long as 48 hours, or more. Addiction to Adderall is a chronic, relapsable illness and like other chronic diseases such as diabetes, is highly responsive to treatment. Cognitive behavioral therapy (CBT), which consists of positive feedback and reinforcement for behavioral change and treatment adherence. Contingency management (CM), which helps to correct and replace negative and self-defeating thought processes with positive cognitive-behavioral skills essential to recovery maintenance. Family therapy has also demonstrated improved treatment outcomes. This may be because addiction is often a symptom of family conflict, and dysfunction in a family may be caused by the addiction of one family member, projected on to the family. These counseling and behavioral therapies have been shown to reduce the use of amphetamines such as Adderall, resulting in lifestyle changes when combined with psycho-education and recovery groups such as Narcotics Anonymous (NA). A good treatment program will include family therapy, addressing areas of healing and prevention. If you feel that your use of Adderall has led to needing higher doses (tolerance) or feeling very bad if you stop taking it (withdrawal), you need treatment and should consider asking for help. Get Help Now Adderall addiction doesn't have to rule your life. Find a treatment center and begin your journey of recovery today. Increased need for sleep, sometimes sleeping for days. Increased appetite and weight gain as a result of binge eating. The depression makes it difficult to get out of bed, take a shower, and be appropriately dressed/groomed. Personal friendships and social obligations often take a hit as well. This is not laziness, but the result of withdrawal. A number of medications can be effective in targeting underlying causes or consequences of Adderall addiction. However, there are no reliably effective medical treatments for Adderall addiction per se, such as there are for heroin or alcohol addiction. Residential treatment involves a highly structured environment, with the advantage of helping to restructure personal and social deficits, examining damaging beliefs and self-concepts, and adopting new patterns of coping and behavior. It can be confrontational, with the aim of helping an individual become more accountable and develop constructive ways of interacting with others. Given the cognitive impairment that may persist for several months after abstinence from Adderall and other amphetamines, residential treatment is encouraged. It can be 30, 60, or 90 days (or longer, if needed) in duration. Private or luxury residential treatment tend to offer more opportunities for holistic and/or spiritual-based treatment, with meditation, yoga, and existential or transpersonal therapy to address questions of meaning, transcendence, destiny, and self-worth. Such rehabs can be helpful in targeting a particular sub-group of individuals that suffer from Adderall addiction. For example, young males are especially prone to amphetamine dependence, often as a result of depression and anxiety from unemployment issues and a lack of social support. Private rehabs can provide the individualized care options that address the underlying causes of dependence. Executive residential treatment is geared towards celebrities and businesspeople, with a minimum impact on their professional lives. Adderall addiction can be the result of lifestyles demanding high levels of energy and long periods of alertness. Executive residential treatment will teach alternative ways of coping, with proper exercise, diet, and rest. Personal trainers, chefs, and life coaches are available on-site, and such services will be available for the traveling CEO/celebrity. Medically assisted treatment for Adderall/amphetamine use lags behind that available for heroin and alcohol addiction. However, in addressing co-occurring disorders such as depression and anxiety, alternative medications may indirectly target the addiction. For depression in stimulant addiction, desipramine (Norpramin) has been shown to be effective. Modafinil (Provigil) is a stimulant drug (with lower abuse risk than Adderall), and is often prescribed as a replacement therapy for ADHD and daytime sleepiness in an attempt to curb continued amphetamine abuse. Counseling and behavioral therapy are two of the most important components of Adderall and other stimulant addiction treatment regimens. Contingency management (CM), a voucher/prize-based intervention, has been successful with retention and abstinence. Cognitive behavioral therapy (CBT) is highly favored as well, especially for long-term recovery. Partial hospitalization for acute amphetamine intoxication may include gastric lavage or administration of oral activated charcoal when drugs have been taken just a few hours before. Sedatives, such as Ativan can be judiciously given to manage any anxiety and agitation, paranoia or seizures. Acute intoxication symptoms include nervousness, nausea/vomiting, and rapid heart beat. 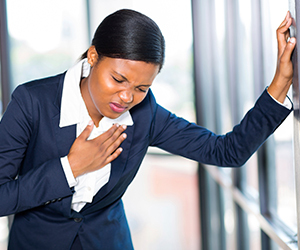 Chest pain, another common presenting symptoms, should not be ignored, as it may be a sign of cardiac complications. Hospitalization may be indicated if severe psychotic symptoms are present or when the cardiac complications associated with amphetamine addiction warrant further treatment or monitoring. Intensive outpatient treatment can provide help for the client in need for continued, post-residential treatment in the aftermath of severe Adderall intoxication. 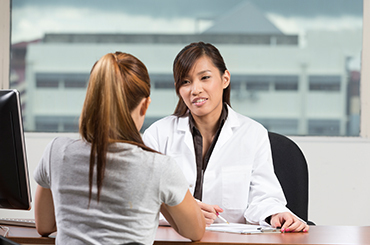 Dual diagnosis treatment can provide services to patients with co-occurring mental and substance-related disorders. Both mental health services and former "addiction only" services are expanding their capability to concurrently assess for and meet the needs of such co-occurring disorders. Screening and assessment tools have been developed which identify the needs of people with a dual diagnosis, matching them to treatment that has the ability to address multiple issues in addition to dealing with addiction. Dual diagnosis services will be available on-site, with staff competent to recognize and treat psychosis, depression, or anxiety associated with Adderall addiction. General medical issues can also be addressed within this evolving network, such as HIV-AIDS or other infectious diseases. You are a person with many needs, not a problem in need of a fix. Dual diagnosis treatment recognizes this complexity with a full array of services that integrating addiction treatment, mental health and general health treatment. Look at what you think you need to best address your issues, and plan accordingly. If needed, be sure that the treatment facility is treating co-occurring disorders. Some rehabs emphasize diet and nutrition, aerobic/anaerobic fitness, and adequate R&R. Some treatment programs will forbid or strictly limit nicotine and caffeine intake as these are stimulant drugs as well. Look at what you think you need, and plan accordingly - keeping in mind the financial impact that treatment may have. Check out payment plans, and remember that more expensive treatment programs do not necessarily have better outcomes. Remember that the Healthcare Act recognizes substance abuse treatment in its mandate of provision, delivered through Medicare and Medicaid. Opportunities to maintain contact with peers, providing peer-to-peer recovery models if possible. The use of evidence-based treatment for addiction and for co-occurring disorders. Check out the mission statement of a rehab, and also take a look at their success rates. This will tell you about who they are and how good they are. Gorelick, D.A., (2009). The Pharmacology of Cocaine, Amphetamines, and Other Stimulants. In Ries, R.K., et al., eds. Principles of Addiction Medicine. Fourth Edition. Philadelphia, PA: Lippincott, Williams & Wilkins. Hill, K.P., Weiss, R, D., (2011). Chapter 16: Amphetamines and Other Stimulants. In Ruiz, P. and Strain, E., eds. Substance Abuse: A Comprehensive Textbook. 5th Edition. New York: Lippincott, Williams & Wilkins. Julien, R.M., Advokat, C.D., and Comaty, J.E. (2011). A Primer of Drug Action. Twelfth Edition. New York, NY: Worth Publishers. Lawson, A.W., and Lawson, G.W., (2005). Chapter 8: Families and Drugs. In Coombs, R.H., ed. Addiction Counseling Review. Mahwah, NJ: Lawrence Erlbaum. Mee-Lee, D., et al., eds. The ASAM Criteria: Treatment Criteria for Addictive, Substance-Related, and Co-Occurring Conditions. Third Edition. Chevy Chase, MD: American Society of Addiction Medicine/The Change Companies. Shoptaw, S., et al. (2009). Chapter 10: Psychosocial and Behavioral Treatment of Methamphetamine Dependence. In Roll, J.M. et al., eds. Methamphetamine Addiction: From Basic Science to Treatment. New York, NY: Guilford Press. Wilkins, J., et al., (2009). Chapter 45: Management of Stimulant, Hallucinogen, Marijuana, Phencyclidine, and Club Drug Withdrawal. In Ries, R.K., et al., eds. Cited Previously.